The Junkers Ju 388J is a German late-war high altitude bomber hunter, designed in response to threat posed by the new American B-29 Superfortress bomber. 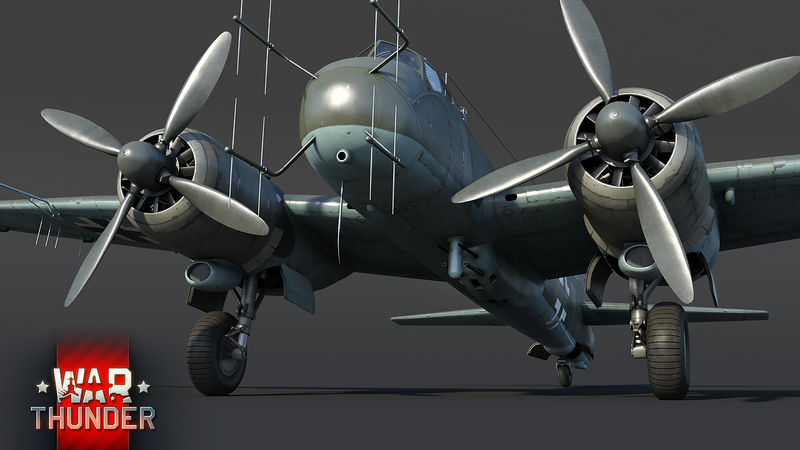 War Thunder players will have the chance to obtain this aircraft as part of the upcoming ”Battlefield Engineer” event! Briefly: A German late-war, heavily armed, twin-engined interceptor developed on the basis of the Ju 188 and optimized for high-altitude operations. After the German Ministry of Aviation (RLM) found out about the new American B-29 Superfortress in 1942, serious concerns were raised among high ranking officials, questioning the Luftwaffe’s ability to deal with such a new potential threat. At the time, the B-29 flew higher and faster than any fighter the Luftwaffe had at their disposal and the only weapon that could effectively counter it was the 12.8cm FlaK 40 heavy AA cannon. This led to the development of a range of new German high-altitude fighters, interceptors and dedicated bomber hunters. The first prototype of the Ju 388 performed its maiden flight in December 1943, showing promising results. After the construction and testing of six further prototypes were completed in three modifications: the Ju 388J high-altitude interceptor, a Ju 388K medium bomber and the Ju 388L scout. The Ju 388 was ordered into production and was officially introduced into Luftwaffe service in summer 1944. However, initial production progressed at a slow pace due to the limited availability of the required engines for the aircraft. Furthermore, the continuously worsening war conditions in Germany had a severe impact on overall production, eventually preventing it entirely by the end of the war. In the end, only around 100 Ju 388s were built with most aircraft seeing only limited action during their short service life during the final stages of WW2. The Ju 388J is perfectly outfitted for combat operations at high altitudes and thanks to its impressive armaments, a specialist in hunting down heavy bombers commonly found at the higher ranks. .
Powered by two 14-cylinder BMW 801TJ engines, producing a respectable 1810 horsepower each, the Ju 388J is able to reach a top speed of around 620 km/h at an altitude of 10,600m. Speaking of altitude, the aircraft can operate up to an effective service ceiling of 12,850 m. Whilst this is easily outmatched by single-engine high-altitude interceptors like the Ta-152H, the Ju 388J will be the first twin-engine heavy fighter capable of reaching these heights. This ability gives fans of German heavy fighters a chance to assist in hunting down enemies who seek safety high above the clouds. 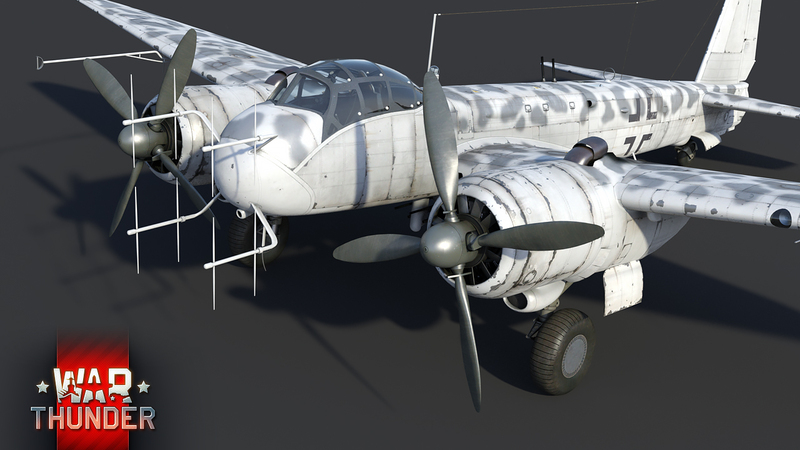 Radar will help players find their enemy in poor visibility conditions or in the clouds - The Ju 388J is one of the few aircraft in WWII equipped with radar stations. The antennas are located in the nose of the aircraft and are able to detect targets in a narrow cone along the course of the aircraft. Being a heavy fighter, pilots should come to expect that such aircraft are usually more heavily armed than regular single-engine fighters. This is most definitely the case with the Ju 388J as its primary armament consisted of two 20mm MG 151 cannons as well as two 30mm MK108 cannons suspended beneath the fuselage and additional weapons are represented by two 20mm MG 151, mounted behind the cockpit on the principle of "Schräge Musik". This battle-tested combination of two highly destructive aircraft cannons is more than enough to shred any aircraft to pieces, provided you align your sights perfectly with the target. Fun fact: The Ju 388J never clashed with the aircraft that sparked its development, as the B-29 was intended primarily for use in the Pacific theatre, not the European. Although the Ju 388J was derived from its medium bomber counterpart, the aircraft isn’t able to carry any additional payloads on board, such as bombs or rockets. This is due to the fact that the internal bomb bay on the aircraft had to be removed in order to house the aircraft’s primary cannon armaments. 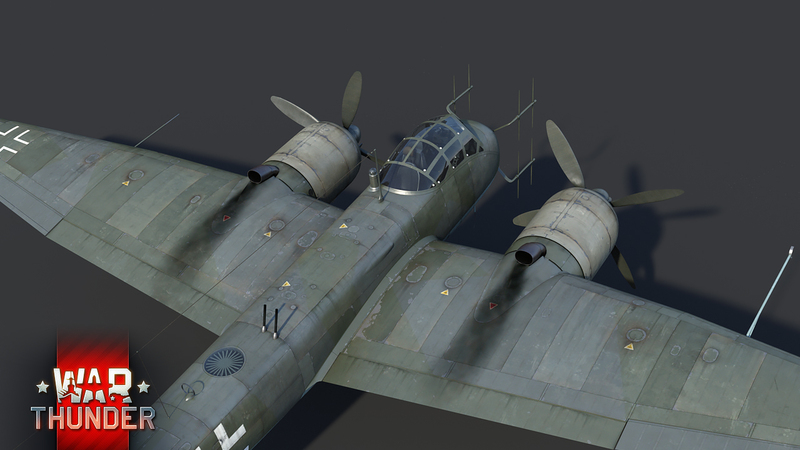 However, the Ju 388J does feature a remote controlled defensive turret in the tail section of the aircraft. 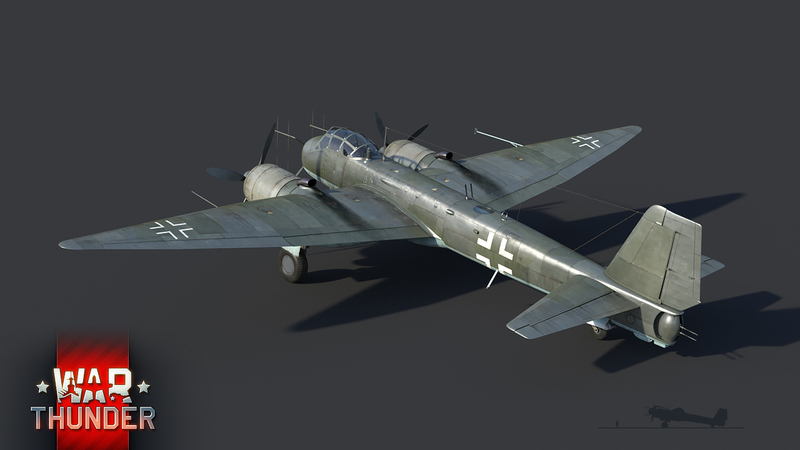 The turret is equipped with two 13mm machine guns and possesses excellent firing angles on the aircraft’s rear hemisphere and the premium status of the vehicle will allow its pilots to expect increased earnings in battles and faster research of other German aircraft. PLS! Stop using loud music in the videos. We want to hear the engines and guns! Smin1080p, Funny thing that almost all aircraft weapons on game have the same gun sample sound ....... it wasnt like that !!! I am really looking forward for the Merkava and the Tiger Cruiser... i don't usually do these events because i am not too interested in the vehicles, but i am this time and a lot! what merkava are you talking! this tank does not belong to any of these nations ,in the game. 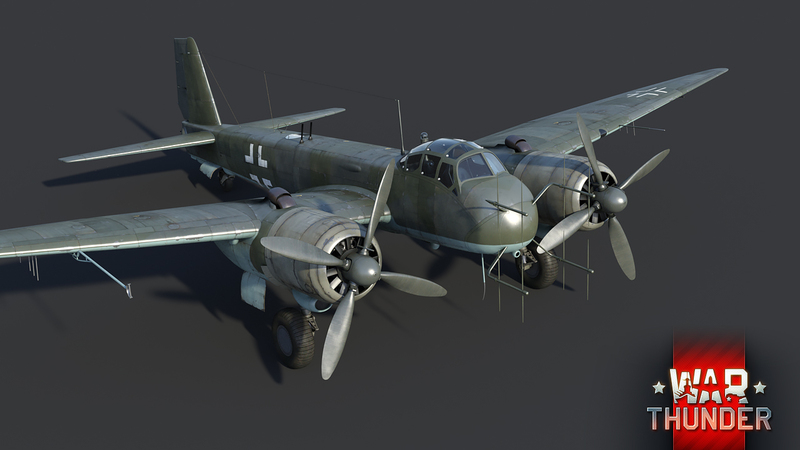 Oh wow a new nightfighter for Germany that was being built to hunt down B-29s. As if my problems in that thing weren't big enough already. yeah its not like you have a 50k repair cost for climbing into low earth orbit or anything. and then using that as an excuse to climb into low earth orbit. I like the look of this event so far, but I fear that it'll be set up similarly to the Tiger and KingCobra event, or the IS-7. It's okay that it's grindy, but NOT to the point where it's impossible to reach without either spending money, or putting your health at risk! 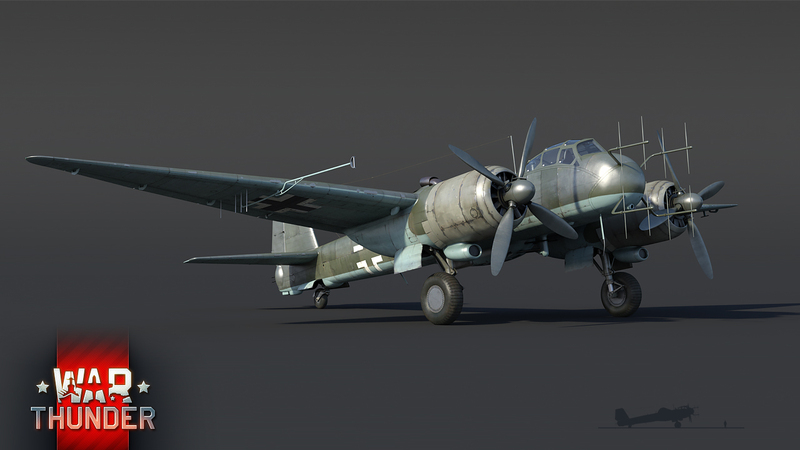 Now if Gaijin makes the game play suitable for flying this monster.